New Delhi: A day-long workshop was organised by the NDMC to sensitise municipal councillors about vector-borne diseases. At least 545 fresh dengue cases have been reported over the last week in Delhi, taking the total number of people affected this season to 1,730, according to the latest municipal report. The number of cases of malaria and chikungunya, till September 9, stands at 611 and 432. Health experts from the Delhi government and the National Vector Borne Disease Control Programme (NVBDCP) interacted with public representatives. The event hosted by the BJP-led North Delhi Municipal Corporation at the Civic Centre here, however, saw average attendance from the councillors, with just a handful of them asking questions during the Q & A session. The NDMC has a total of 104 councillors in six zones. Delhi Deputy Mayor Vijay Bhagat appealed to the councillors to come forward and play an important role in creating awareness among the masses. He also said the growing urbanisation and areas of vegetation coming closer to human colonies was one of the reasons why dengue mosquitoes have come into proximity. Additional Commissioner (Health) Pankaj Kumar Singh said public participation is must to control the spread of any disease. “We are sensitising people through advertisements related to vector-borne diseases such as dengue, malaria and chikungunya. Most of the dengue cases are reported from households and so councillors can help in preventing mosquito-breeding there,” he said. A senior doctor in the Delhi government, S M Raheja, gave a presentation on mosquito breeding and on the life cycle of a mosquito. “The life cycle of an aedes aegypti mosquito is about seven-eight days. If we break the life cycle in between by just changing the water, it would also check their breeding,” he said. 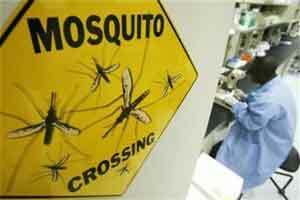 Vector-borne diseases are reported between mid-July and November-end. Cases of all the three vector-borne diseases were reported much earlier this time, which doctors had attributed it to the early arrival of the monsoon. Dengue and chikungunya are caused by aedes aegypti mosquito, which breeds in clear water. Anopheles mosquito, which causes malaria, can breed in both fresh and muddy water.